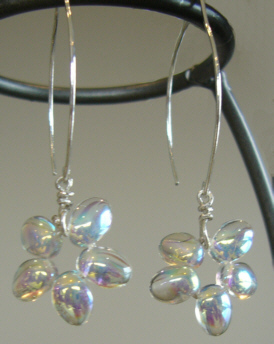 Just for Fun: "Ice Flower" Earrings. The "ice flowers" are made from iridescent glass beads, which gives an opaline or icy effect, & are strung on Fine Silver wire. The hoops are hand-hammered Sterling Silver wire.